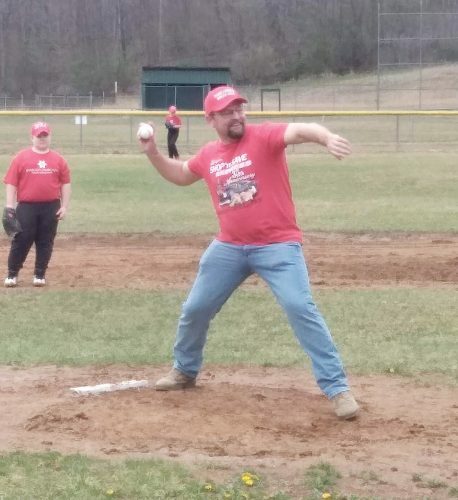 The Inter-Mountain photo by Brad Johnson Opening day ceremonies for Elkins Little League Baseball took place Saturday morning at Riverbend Park. The league features 20 teams in four divisions. The Inter-Mountain photo by Edgar Kelley Tygart Valley Little League held opening day ceremonies in Huttonsville Saturday. The Inter-Mountain photo by Brad Johnson Elkins Little League kicked off season play after the opening day ceremonies Saturday. 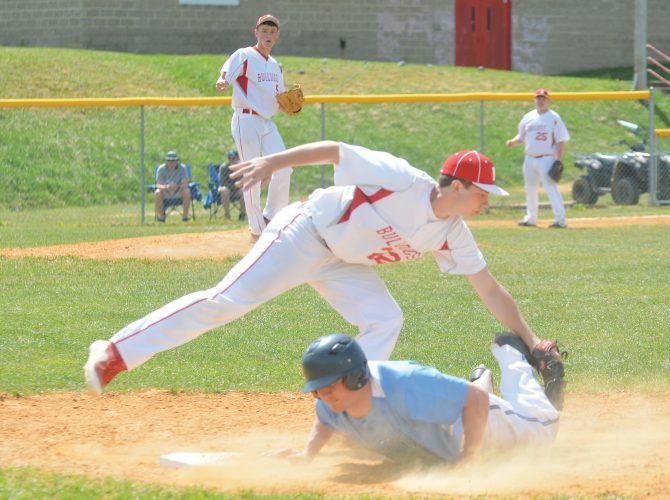 The Inter-Mountain photo by Edgar Kelley Tygart Valley Little League play began Saturday following the opening day festivities. The Inter-Mountain photo by Edgar Kelley Delegate Cody Thompson, D-Randolph, throws out the first pitch in Huttonsville Saturday. The Inter-Mountain photo by Brad Johnson Elkins Little League Commissioner Phil Riggleman shakes hands with a player after throwing out the first pitch Saturday morning.